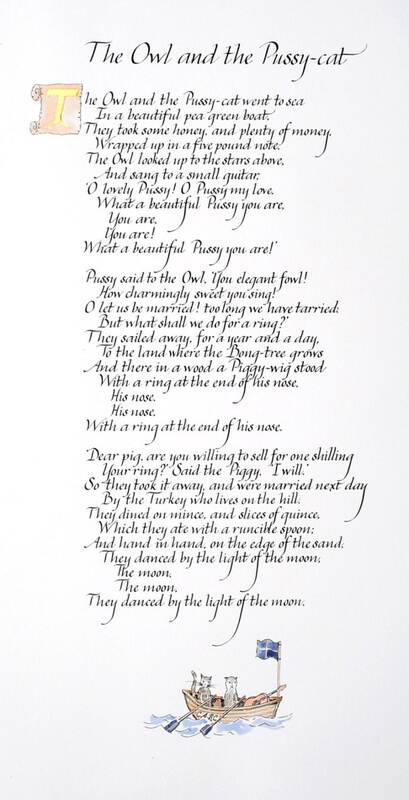 A favourite poem and a classic with universal appeal, The Owl and the Pussycat is a popular wedding reading as well as a wonderful gift for anyone who was ever a child... we all dreamed of sailing away in that beautiful pea-green boat at one time or another! 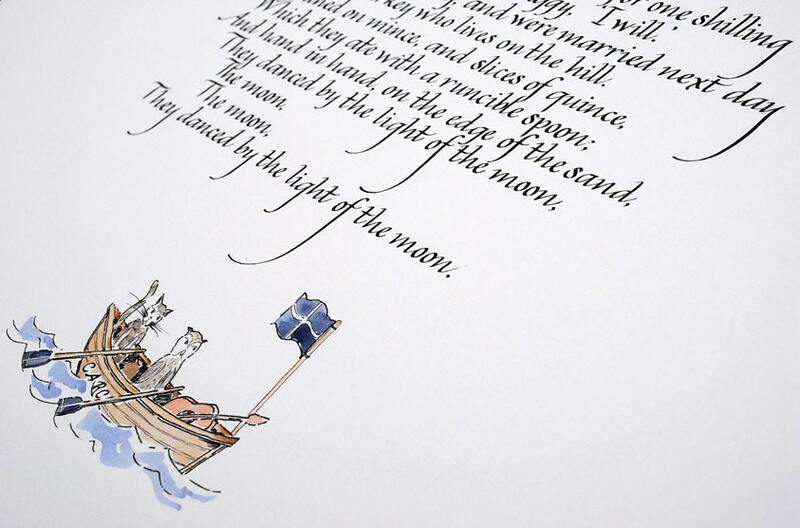 Now you can own a handwritten original piece of calligraphy, illustrated in soft watercolours in the style of Edward Lear, as a reminder of the romance and adventure captured in the poem. 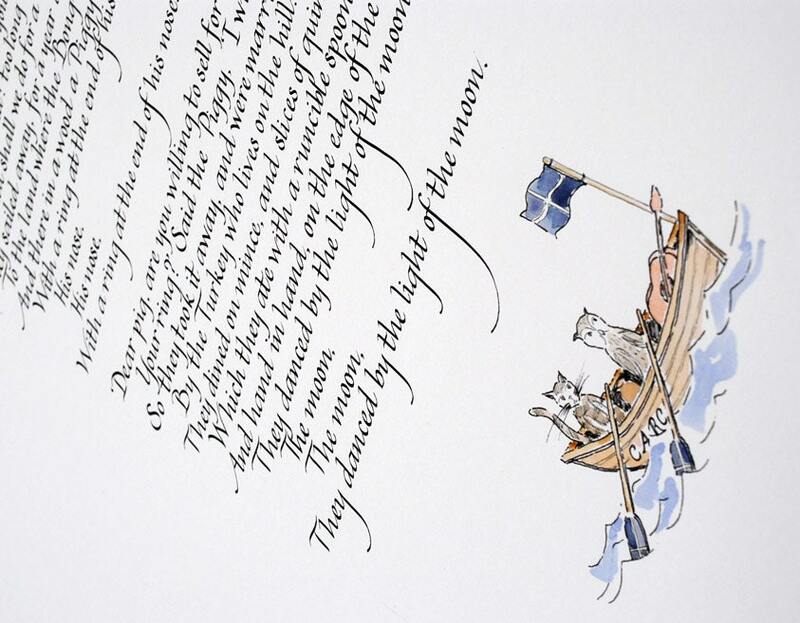 The finished piece is presented on A2 paper of archival quality. 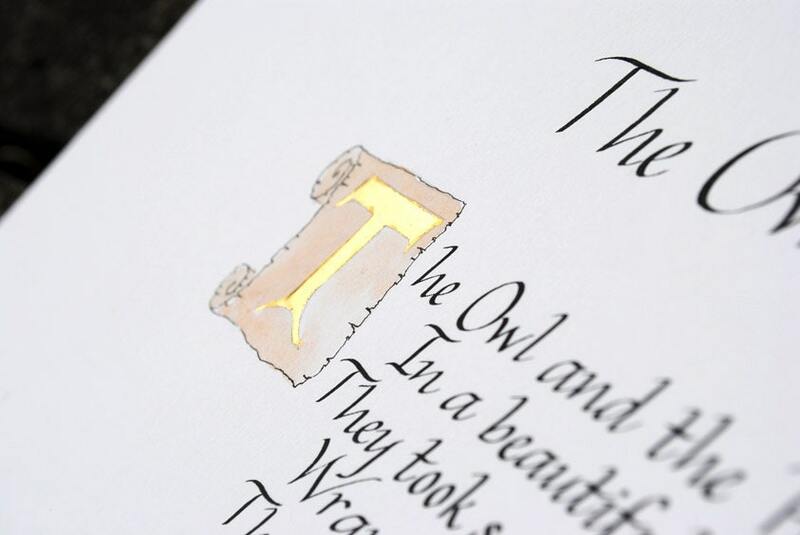 The finish is an antique white, heavy machine-made paper with a smooth surface. 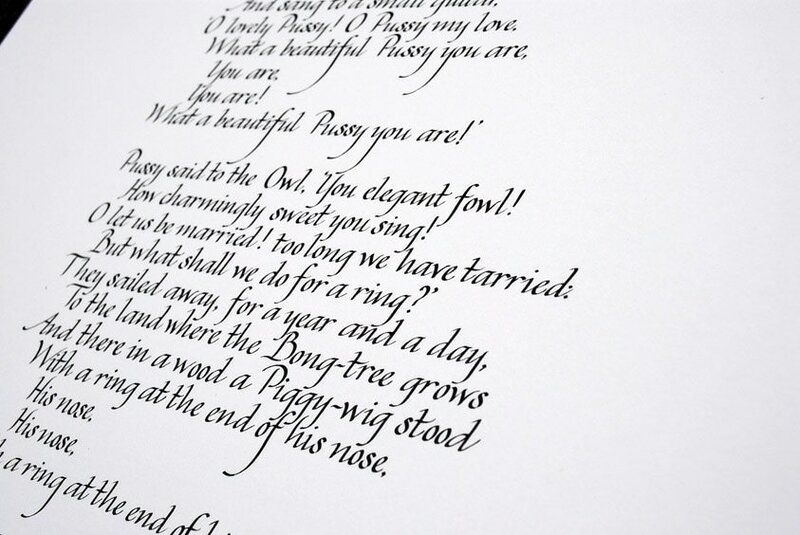 Calligraphy is written in Japanese Sumi ink which will not fade.